Today is World Mental Health Awareness Day and I thought it would be a good opportunity to write about keeping your mental health in a good place. Time is often limited when raising children with additional needs as there are many more things to juggle on a daily basis. Many more people filtering in and out of our daily lives. We often have to deal with, and learn about complex medical conditions or behavior that challenges, which, as parents leaves us with a lot more to process and less to time to process it all in. This can lead to feeling inadequate or not good enough but there is a difference between feeling down and becoming depressed. Everybody has down days, days where it feels like the world is against you, and all you want to do is curl up under the duvet, however it is when these feelings persist and begin to affect your appetite, sleep, concentration and general wellbeing (see here for more information) that you may need to seek professional help. After my son was diagnosed with autism, I began to feel anxious. Anxious about how to raise him, how to deal with other people's reactions and how to deal with what others thought of me as a mother. I gave my power away to others, letting them, or what I thought they might be thinking, take precedence over what was actually happening in my life. I began researching every medical condition I could as my son didn’t fit into the stereotypical model of autism that I had read about and, feeling helpless, I needed to do something, anything to avoid feeling this grief that threatened to engulf me at any given point. But how do we identify these feelings before they overwhelm us? The first step is to acknowledge our feelings. They are an innate part of us and are often the driving force behind decisions we make. Easier said than done perhaps, but it is a good place to start. If you think back to a particular time when life felt overwhelming, how did you deal with it? Did you talk about it with a friend or family member willing to listen without offering advice? That’s great if you did and is a good way to continue. However, and this is often the more common approach, it’s more likely you put it to the back of your mind, assumed everyone has their own problems without you adding yours! I know I have… Hoping they will just go away, but they don’t. Think about when you over-reacted to something small, or experienced frustration at other road users or projected your emotions onto your partner. We usually do this if we are overloaded with emotional stress. If you have a good listener to confide in, then the old saying, ‘A problem shared’ really is true as they will listen without judgment or having to solve your problems for you. Sometimes all we want is an acknowledgement that how we are feeling is OK, that someone else would feel the same if they experienced what you are going through. I remember all too well needing reassurance that other people would have felt similar to me if they were experiencing a situation like mine. I've put together a few suggestions that I hope may help. If you have some ideas too, why not add them in the comments? Don’t wait for support to be offered, Ask a good friend, invite yourself round for a coffee to their house or if this isn’t possible use the internet and search out support groups in your area, social media is a great as there are lots of online support groups. Netbuddy is another. Try the national charities such as Mencap, Scope, Epilepsy Action, The National autistic society. Try your local Carers support group if you have one. When feeling a bit down its easy to feel the world is against you, that that comment on social media is about you or that people are talking behind your back. Chances are they are not, and, if they are, are they really worth your time and attention. Accept that you are not Superhuman. Juggling health appointments, meetings at school, preparing for annual reviews, kids homework, working and keeping a home, sometimes things slip, you forget things, the house gets untidy, you buy in a takeaway more often than you would like. Cut yourself some slack - it’s OK, that’s life and, in 5, 10, 20 years who’s going to remember that you didn’t vacuum every day or that you ordered in Dominos twice in a week. Forgive yourself! Assumptions can be both helpful and unhelpful – If unsure, check it out. Don’t assume that your best mate hasn’t called because she’s annoyed at you about something, maybe they are having a hard time too. It's easy to jump to the wrong conclusions when we assume first before knowing the facts. Talk to partners, children, professionals. If things are becoming to much, tell someone, Family line www.familyline.org.uk are great at just listening. They don’t have all the answers, but they do listen. I’m sure we’ve all done it- said something we regret, told our kids off unnecessarily or unjustly, acted on impulse when feeling stressed. It’s OK to revisit situations and say you are sorry and it’s very therapeutic. Dwelling on what we should, could or ought to have said or done is very unhelpful and can lead to feelings of inadequacy and self loathing. Get it off your chest with an apology and move on. 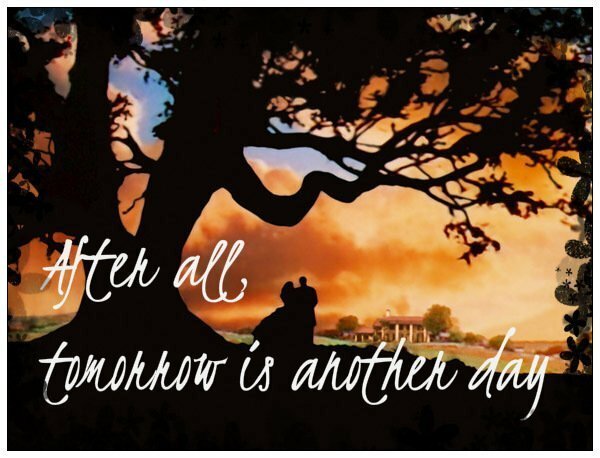 And finally, remember, tomorrow really is another day, a fresh start, a new beginning. What has happened, has happened. You cannot change the past, but you do not need to be defined by it either. Accept it, understand it, make amends if needed and then move forward. Super advice Angela. So often we just carry on until the point where it has gone too far. Knowing your limits is something I have definitely been working on recently, and it feels good to be more realistic.